Did you know that when the Panama Canal was being constructed, the “scientific consensus” was that dirt caused malaria and yellow fever? From 1881 to 1884, the French had failed to build a canal in Panama, largely due to two problems: first their equipment wasn’t yet up to the task, but second, they could not defeat malaria and yellow fever. Their work crews suffered a death rate of 200 per month! When the U.S. acquired the canal zone in 1903, the equipment and organization was better—but the disease still remained. 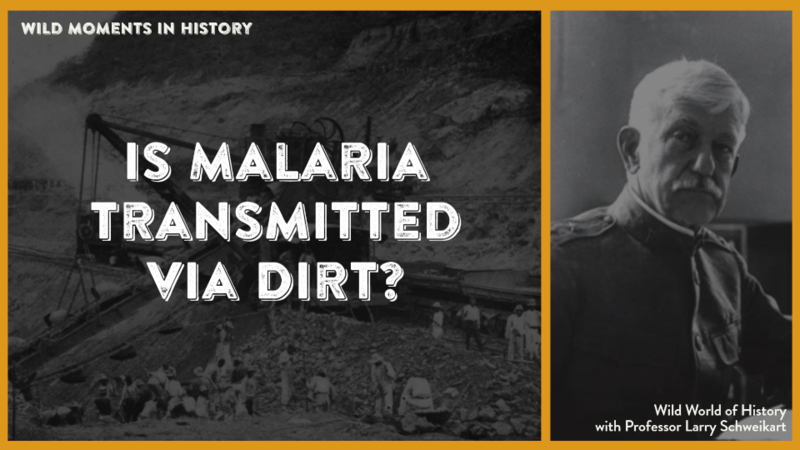 The scientific consensus of the day still held that dirt played a role in the transmission of malaria and sleeping sickness, with one of the preventative measures being to keep the legs of chairs and tables in saucers of standing water. Two doctors in particular bucked the trend: Carlos Finlay and Walter Reed, who insisted that the anopheles mosquito was the main cause of transmission. President Theodore Roosevelt, facing an advisory board, saw that the majority still were of the “dirt” camp, but that his chief sanitation officer, Col. William Gorgas, insisted that the mosquito was the problem. Deciding against scientific consensus, Roosevelt sided with Gorgas, who implemented a wide ranging campaign of setting up sanitary water systems in towns, installing mosquito screens, fumigation of buildings, spraying breeding areas with insecticides, installation of mosquito netting, and above all, getting rid of pockets of standing water that mosquitoes bred in. But “consensus” wasn’t dead, and would resurface in the 1950s with notions that fat and meat caused cholesterol, which caused heart attacks, then again in the 1990s with the “global warming” myth. Larry Schweikart, Seven Events that Made America America.